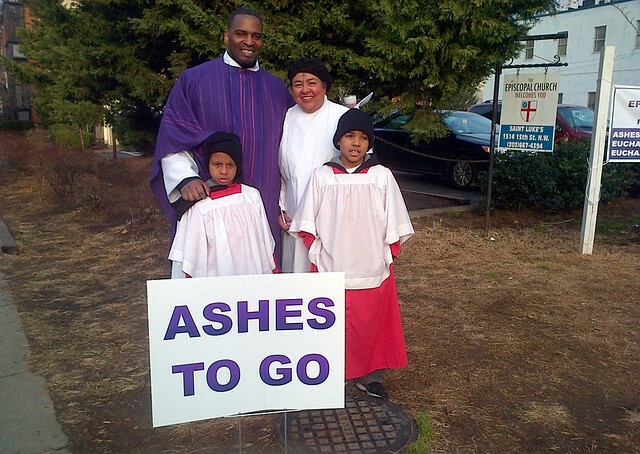 Ashes2Go is an initiative begun a few years ago, largely among Episcopal churches, though some Lutheran, Presbyterians, United Methodists and others whose denominations observe Ash Wednesday have joined the bandwagon as well. The idea is to station pastors (usually) at strategic outdoor places with a supply of ashes to offer to passersby who may not, for whatever reason, get to an Ash Wednesday service that day. Usually there is some brief interaction of confession, prayer, and then imposition of ashes and perhaps a word of pardon. Exactly what happens can vary widely. I don't typically use this forum to argue against a practice, but I'm making an exception in this case. My title is not intended as clickbait. I believe those who engage in this practice and promote it mean well. I do not in any way wish to impugn their motives, sincerity, or the quality of their Christian or pastoral commitment. At the same time, I genuinely see Ashes2Go (or whatever it might be called where you are) as a really bad idea. Here are my top 5 reasons for concluding that. 4. It replaces one part for the whole. The imposition of the ashes in the service of Ash Wednesday is only one part of the whole of the service of the gathered community, which is a complete service of Word and Table. 3. Administering the ashes on the street may feel "meaningful," but it is not what the church seeks to do on Ash Wednesday. People who receive ashes "randomly" through Ashes2Go, as well as those who impose the ashes, may find these actions personally "meaningful" in some way. But feeling something to be meaningful is not the same thing as participating in what the church seeks to do on Ash Wednesday. We gather together to start our Lenten journey together. 2. It means well, but performs poorly. Appeals for doing Ashes2Go typically involve calling the church to offer itself in ministry "outside its walls." That's a fine and admirable thing. Ashes2Go may indeed get a few people "outside the walls" (mostly pastors). But that second part-- that the typical passerby would read the offering of ashes as a sign of grace, much less something they'd want-- may be more than a bit of a stretch these days. And worse, by offering ashes and "on the spot" individualized acts of pardon, we might (if unintentionally) be sending and reinforcing a message that says you don't really need to be part of a gathered community to receive the ashes on Ash Wednesday. You can get them when and where it's convenient for you, and you don't need to be part of a gathered community ritual to do it. After all, religious goods and services should be available when, where and as we wish to consume them, right? Taylor fills in the details here.